A research paper on architecture design examines the standards needed to create structures with durability, functionality, and aesthetics. Architecture includes both the processes of designing, planning, and constructing buildings and the final product of those efforts. Vitruvius was one of the earliest philosophers to discuss the principles of architecture and design when he proposed a good building must meet standards for durability, functionality, and aesthetics. Stemming from this belief, concepts of architectural beauty contend the state is not a superficial application delegated to a structure after its been built and viewed. Rather, theories about architecture hold in high esteem what they deem to be universal concepts of aesthetically pleasing features. It is this feature of architecture that highlights the designing process above the others which sets it apart from the construction industry upon which it relies. The latter stems from necessity and results in structures that can be utilized without appeasing the senses. 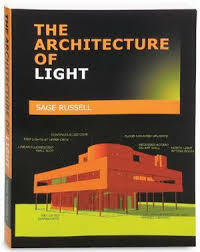 Architecture, instead, focuses on the artistry of the process that attempts to merge functionality with beauty. Through out the history of architecture, human designers have had to contend with the dual horns of need and means. Most structures in human history are built in such a manner that the space reaches optimal functionality while using limited resources. As wealth spreads through a society, more people are able to splurge on the aesthetic benefits of properly designed architecture. Paper Masters writes custom research papers on architecture design and examines the standards needed to create structures with durability, functionality, and aesthetics.